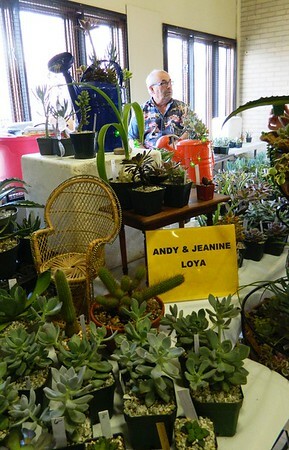 BRISTOL - If visitors to the Connecticut Cactus and Succulent Society’s 36th annual Show and Sale took anything away from the weekend-long event, it was the knowledge that cacti can indeed grow in New England. Close to 2,000 people made their way through the show, held inside the Bristol Senior & Community Center both Saturday and Sunday. “You don’t need a greenhouse; a windowsill does just fine,” John Spain told those who snagged seats at his lunch table Sunday. The 97-year-old Middlebury resident is one of the society’s original founding members. He was the event’s most sought-after guest, an oasis of knowledge into a plant that requires very little water. 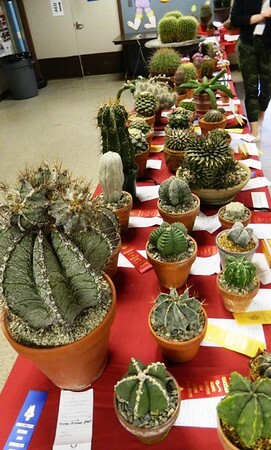 “If someone is really interested in cacti they should join a club,” Spain said. Many people became society members at the show. This is a pretty common occurrence, according to Spain. “We’ve had an increase of membership almost every year for the last 40 years,” he explained. 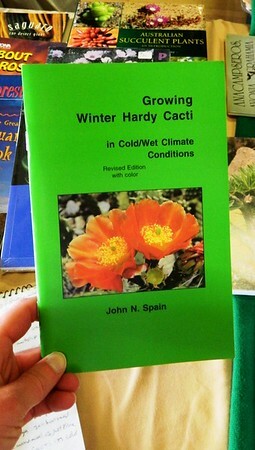 His book, “Growing Winter Hardy Cacti in Cold Wet Climates” was among hundreds of titles for sale in the center’s gymnasium, where vendors set up shop. Retired Bristol optometrist Tad Bartles was one of them. 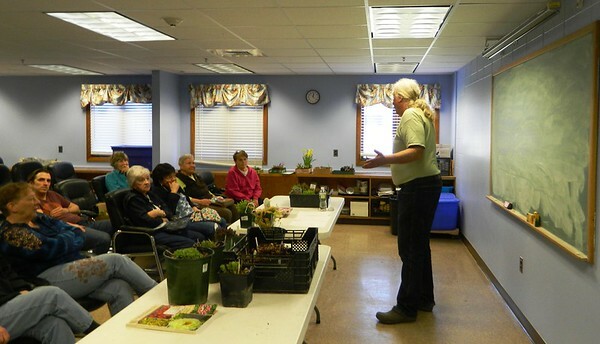 He’s trying to establish a cactus garden in the Northeast, where hardier varieties like the opuntia and cholla can flourish. Pottery artisans Terrie Storm and Carol Moore stood behind their hanging and sitting creations, made from high-fired clay and etched with intricate designs. Show Chairman David Schultz kept tabs on the goings-on in every room, as visitors poked in and out. The society took over the facility, using the gymnasium for the sale, the cafeteria for the show competition and various meeting rooms for lectures. Society Vice President Matt Opel was the designated auctioneer. The CCSS welcomes new members, regardless of experience level. 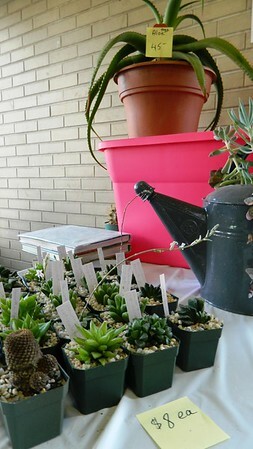 The club meets monthly at nurseries, universities and private collection sites around the state. These meetings begin with “famous” potluck lunches and usually feature an educational program and tour. 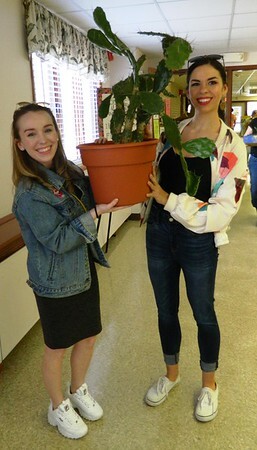 For more information, visit ctcactussociety.org. Posted in The Bristol Press, Bristol on Sunday, 14 April 2019 20:58. Updated: Sunday, 14 April 2019 21:01.